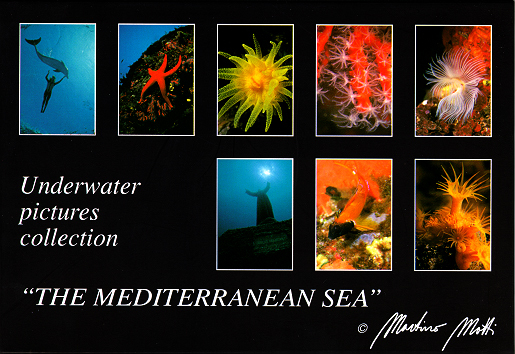 The collection includes 8 cards and a 4 pages text inside in Italian and English, with an explanation of photos, a short underwater story and a presentation of the author. 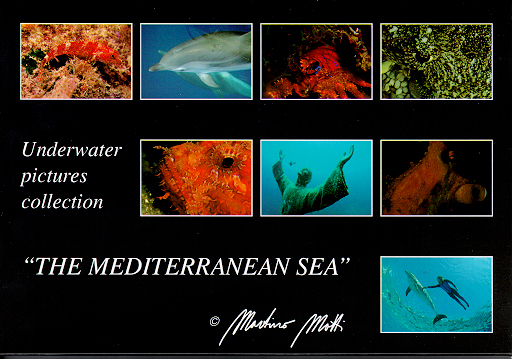 Cost: 5,00 € only. 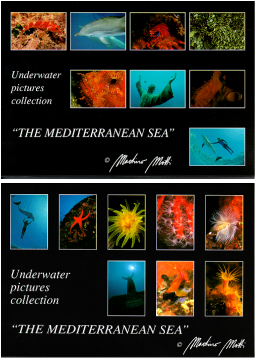 The collection includes 8 cards and a 4 pages text inside in Italian and English, with an explanation of photos, a short underwater story and a presentation of the author.